In November 1984, Wes Craven would introduce the world to a new horror character who would bring nightmares to many households, Freddy Krueger. Freddy Krueger would be the iconic character that would terrorize many in A Nightmare on Elm Street. In 2014, many horror fans can celebrate the 30th Anniversary of the original A Nightmare on Elm Street and NECA Toys is helping in a big way in commemorating this Horror Classic. 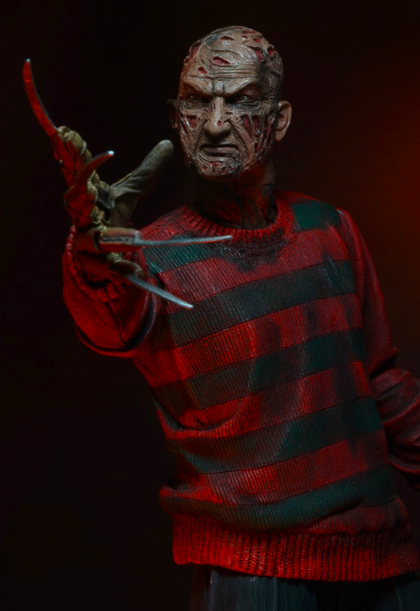 NECA Toys has been known in creating many amazing Freddy Krueger action figures, but have taken it to another level in creating A Nightmare on Elm Street 30th Anniversary Ultimate Freddy. Freddy stands nearly 7" tall and features an all new fully articulated lower body featuring ball-hinged thighs and knees. 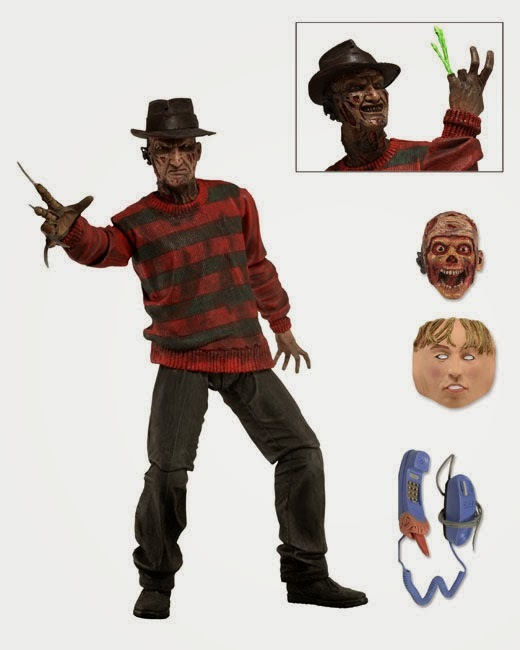 Freddy includes 3 interchangeable heads including closed mouth, open mouth grimace, and skull face. He features an interchangeable left hand with 2 fingers cut off and includes a dead skin mask, tongue phone, and his trusty fedora. 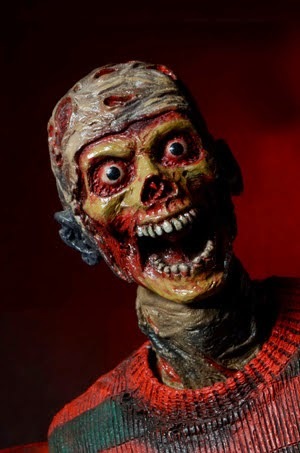 NECA Toys A Nightmare on Elm Street 30th Anniversary Ultimate Freddy Krueger will be arriving before Halloween.